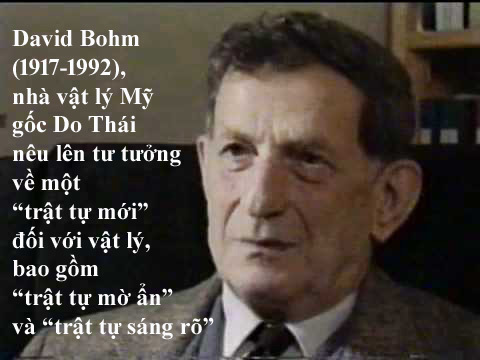 The American physicist David Bohm (1917-1992) believed that the persistent failure to unified physics exposes the limits of our current way of thinking. What is needed is not a brilliant new idea or a novel piece of mathematics. The issue is much deeper than piecing together a unified theory of relativity and quantum theory. It involves changing our way of thinking about the physical world. As Bohm put it, what is required is a new order to physics.